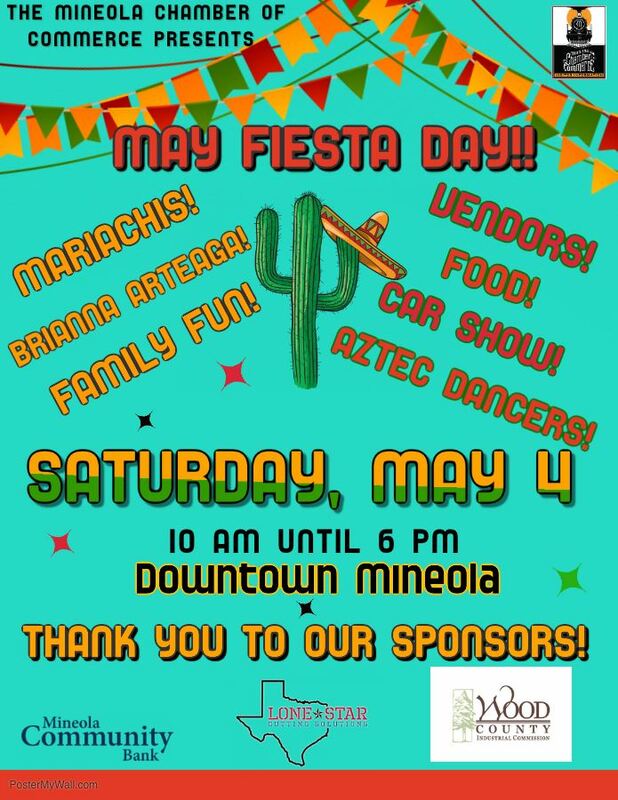 We are happy to announce our May Fiesta Day Festival that will be on Saturday, May 4th from 10am to 6pm. This year will feature a mariachi band, singer Brianna Arteaga, piñatas, arts&craft vendors, food vendors, beer garden, Aztec dancers, children's activities, and more! You will NOT want to miss this! 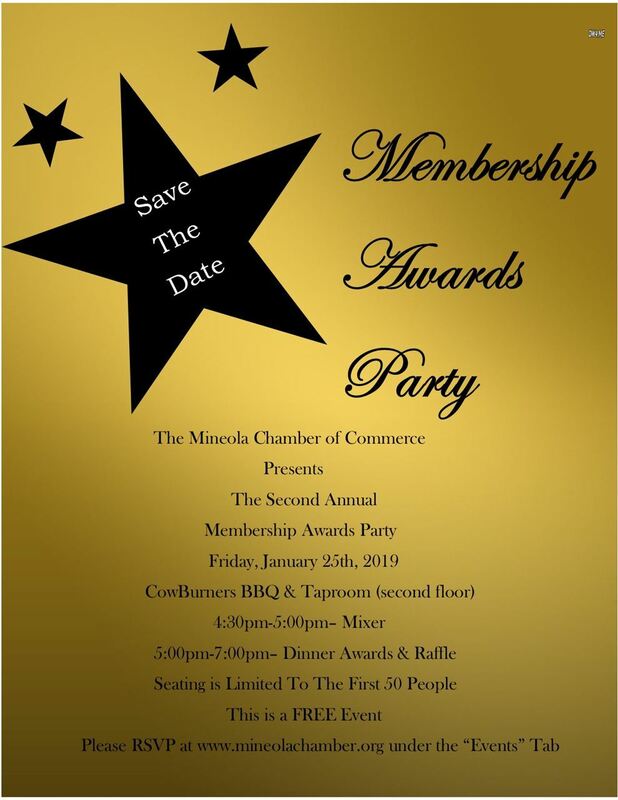 Attached is the flyer for the event. If you or someone you know is a food or arts&craft vendor please print out the form here and send it to 101 East Broad St. Mineola, TX 75773. 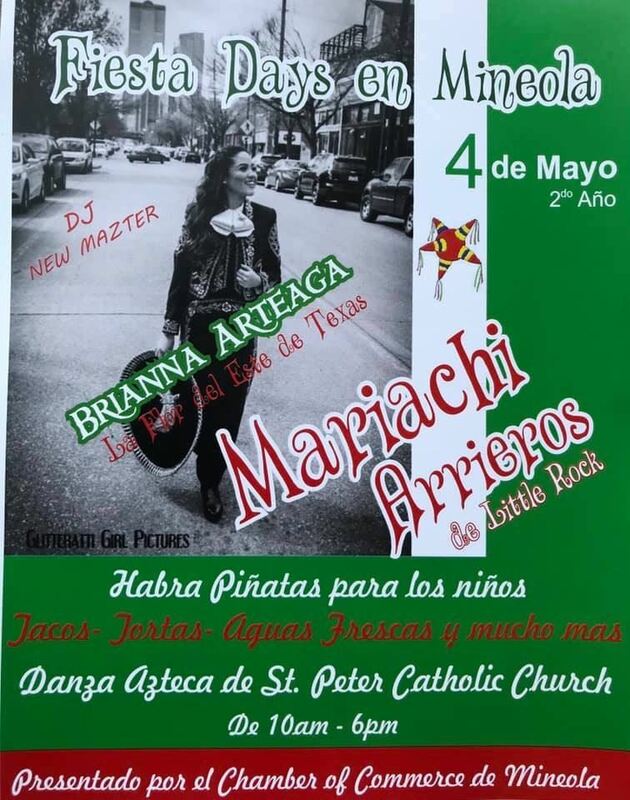 May Days Vendor Application 2019 REVD 0220.docx & Mineola May Fiesta Eligibility and Rules 2019.docx. Thank you to our sponsors! We could not hold festivals for the town without these wonderful people! Due to the expected upcoming storms on Wednesday, the Mineola Chamber has decided to move the Trunk or Treat up a day on Tuesday, October 30th at 5:30pm for participating downtown merchants and all of Commerce/Johnson Streets. We apologize for any inconveniences but feel this decision was best for the safety of the children and the enjoyment of the event. Booth set up and road blocks may begin after 4pm. This years Iron Horse Festival will be filled with fun events you can get involved in! Just click on the link to fill it out or print it out and send it in with your payment and we will get you signed up! The Mineola Chamber of Commerce are preparing for the Mineola Iron Horse Heritage Festival on Saturday, September 29th 2018, in historic downtown Mineola. We are interested in having an event that is unique and “one of a kind”. Our Iron Horse Heritage Festival is important to our community because it is exactly like the name entail’s, our heritage! The train is such a staple in our community and has made Mineola into what it is today. This year’s event includes wonderful food vendors and many different types of arts & craft vendors, a children’s area, weenie dog race, and more. If you are a vendor interested in signing up please use the information here > Iron Horse Fesival Vendor Application 2018.docx to sign up. You may also call 903-569-2087 to get an application delivered to you by mail. Payment needs to be in cash or check before vendor location can be determined. In order to keep the event unique, we will be taking the applications on a first come basis and will discourage duplicate vendors. Vendors will need to be in their space and ready to sell by 9:00am on Saturday, September 29th. No booth breakdown before 6:00pm on Saturday. We are so excited for this years event and can't wait for you to come out and celebrate with us in September!